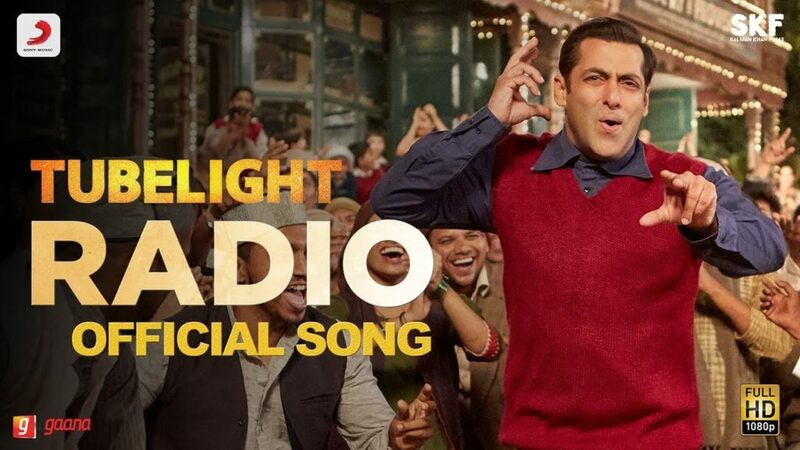 Radio Song this is a first Full HD Video From Upcoming Bollywood Movie Tubelight. This Movie is a historical and war drama bollywood movie. Radio song is composed by Pritam and also choreographed by Remo D’souza. This video song lyrics are penned by Amitabh Bhattacharya and this video song is sung by Kamaal khan and Amit Mishra. This movie features are Salman Khan, Sohail Khan and also Chinese actress Zhu Zhu is making the debut as the female lead role in this movie. Tubelight movie is produced by Salman Khan and directed by Kabir Khan. This movie releases on date 23rd of June 2017.